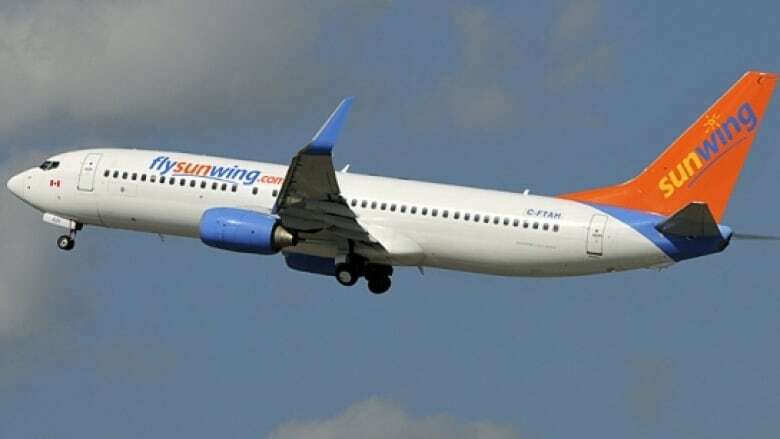 A veteran aviation safety expert says the case of a Sunwing Airlines pilot accused of being so drunk he passed out in the cockpit Saturday morning in Calgary is the worst he's ever encountered. The case of a Sunwing Airlines pilot accused of being so drunk he passed out in the cockpit Saturday morning in Calgary is the most severe a veteran aviation safety expert says he has ever encountered. "Although this kind of incident has occurred a few times over the years, this is the worst I have heard of," Edward McKeogh with Canadian Aviation Safety Consultants said in an email. On Saturday shortly before 7 a.m. pilot Miroslav Gronych boarded a Sunwing Airlines 737-800 series aircraft in Calgary. The plane was scheduled to make stops in Regina and Winnipeg before continuing on to Cancun, Mexico. It had 99 passengers and six crew members on board. Members of the flight crew noticed the pilot was behaving oddly before he passed out in the cockpit, according to police. Gro﻿nych was arrested by Calgary police and charged with having care and control of an aircraft while impaired and having care and control of an aircraft with a blood alcohol level over .08. He has been released on bail and ordered to surrender his passport. "Drunks can be quite clever and since there were two domestic stops before the Mexico leg, airport scrutiny was probably not very strict," said McKeogh. "Hopefully this individual will be sent for some serious counselling and rehab before he is cleared to fly again." Gronych's blood alcohol level was tested about two hours after he was arrested and was found to be more than three times the legal driving limit, police said at a press conference. It is against the law for pilots in Canada to have consumed any alcohol within eight hours of flying and individual airlines, including Sunwing, often have even stricter rules. "Sunwing Airlines has a zero tolerance policy on alcohol consumption within 12 hours of duty and any crew member suspected of violating this policy would be removed from duty pending an investigation," airline spokeswoman Jacqueline Grossman said in an emailed statement. Gronych is a foreign national from Slovakia in Canada on a work visa. He surrender his passport to Calgary police. Transport Canada is "closely monitoring the situation" while reviewing the pilot's records and Sunwing's procedures and protocols. "As more information becomes available, the department will not hesitate to take enforcement action, including issuing fines and revoking licenses if appropriate," said Transport Canada in a statement. One way to ease public concern would be to implement random drug testing for pilots, suggests Leon Cygman, chair of Mount Royal University's aviation program. "It is a very important job, it's a very stressful job," says Cygman. "There's a lot of responsibility so I think it's appropriate, in order to ease the public's mind, that pilots with that responsibility do have some random drug and alcohol screening." Individual airlines or Transport Canada could implement a testing program for pilots says Cygman. A Crown prosecutor will be assigned to the Gronych case Tuesday afternoon. Gronych is scheduled to make a court appearance in Calgary on Thursday.